Most entrepreneurs are entrepreneurs because they are independent people who think a little differently from most others. They usually have a need to do things their own way. So it can be easy for an entrepreneur to overlook the need for a business mentor, somebody who can give them guidance and help them avoid all the pitfalls and common business mistakes. You need to actively look for the right mentor. Here are a few tips to show you what to look out for. You should choose a mentor who actually has lots of real-world business experience. They can read all the business and self-help books in the world, but that means nothing if they haven’t ‘been there, done that, got the t-shirt’. This usually means that you’ll choose a mentor who is older than you, maybe even somebody who is retired (they will have more time to help and advise you). You need to choose a mentor who likes you and who is interested in your business ideas. Otherwise, they won’t be very motivated in helping you, and they’ll quickly lose interest in mentoring you. Of course, if these things aren’t true to begin with, it’s unlikely they’ll even agree to be your mentor. If the mentor you choose is genuinely interested in you and your business, you will be able to teach them some things too, making the relationship more mutually beneficial. You want a mentor who can give you advice relevant to making your business a success. This won’t happen if your mentor doesn’t understand your goals. They’ll instead be leading you down a path you don’t want, nor never intended, to walk down. Of course, there’s always the chance that as the relationship goes on your mentor will help you develop and improve your goals, but this will never happen if they don’t understand your initial goals. This is probably one of the most important parts to finding the right mentor. You want as much of the communication between you and your mentor as possible to happen face-to-face, since this will give you the best chance of a successful and beneficial relationship. Things will run much more smoothly, and both you and your mentor will get more out of the relationship, if you get along with one another on a personal level. 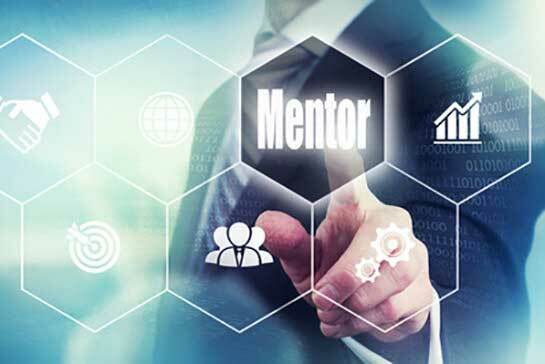 There isn’t much point in choosing a mentor because you get on well with them if they don’t have any knowledge that you don’t already have, or that you could learn yourself by reading a book or through a Google search. Running your own business is a lot of hard work. Having a mentor won’t change this, but it will lead to you making better decisions and making less mistakes, so it is highly recommended you look for a mentor to advise you.